In Need of a MD Nanny? ABC Nanny Source Caters to Families throughout Maryland! ABC's Maryland Nanny Agency Welcomes You! ABC Nanny Source is a family owned and operated agency that specializes in in-home childcare. We know that it is extremely important to have the perfect Nanny to come to your home and take care of your children every day. It happens entirely too frequently that families are settling for a Daycare or Nanny that isn’t qualified because they just do not know where to go, ABC Nanny Source offers your family only the safest, most experienced candidates to interview. Thousands of parents are experiencing the benefits that come along with having a quality Nanny coming into their home on a daily basis. When hiring an ABC Nanny, the family gets the extra helping hand they need to ensure that the children have the individualized attention they deserve! It is understandable that each family seeking a Nanny is very unique. You can be confident that our Placement Counselors will be dedicated to working with you to understand what your exact needs are, and to make sure that they do everything they can to cater to your unique requests. Maryland Nanny Agency services provided by ABC Nanny Source are superior because we work diligently to not only meeting your physical needs, but your emotional needs as well! 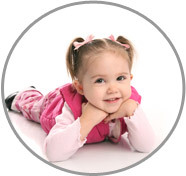 All of our Nannies have a true love for children and have gone through our very rigorous 10 Step Screening Process. One of the most important parts of our interviewing process and screening process is to take into consideration the compassionate nature and amiability of each of our Nannies. We want you to be assured that all of your needs are being met and that you have everything you are looking for in a Maryland Nanny! ABC Nannies are there for your children to give them physical, emotional, and mental support, and to provide exceptional care in every respect. Your ABC Nanny will most likely become a close friend to your children, and most importantly a role model you can be proud of. We realize that when a Nanny comes to your home on a daily basis to care for your children often the relationship you have will develop into a greater and more personal connection that extends beyond a professional level! We look forward to assisting your family with the quality and personal attention you deserve, and meeting all of your in-home childcare needs! We also pride ourselves in our personal approach with assisting you and our promise of extraordinary Nanny Placement Services that set us apart from the other agencies in the industry. The mission of ABC Nanny Source is to recruit, evaluate, and offer only highly screened, highly qualified, and loving caregivers to our clients, while also providing the highest level of service that each family and Nanny deserve! When contacting our office, you will be working with a kind and professional Placement Counselor who will take the time to answer any questions you might have in regards to our services. Thank you for trusting ABC Nanny Source with your family!